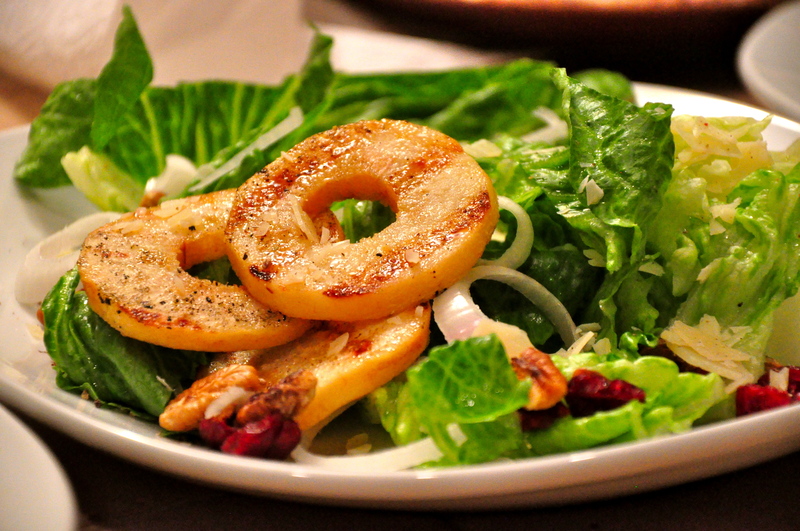 One of the nicest things you can do for a salad is add some roasted pecans and grilled pears. I swear by it! It takes a simple salad to a new level and it looks pretty too! 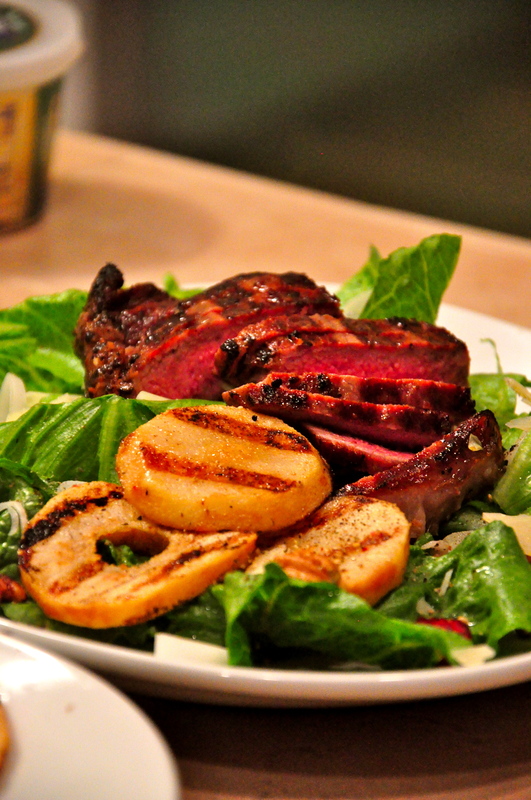 And, since you love your salad and you already have the grill going … go ahead and top it with a grilled steak. All that salad and fruit underneath will make you feel a lot better about eating red meat. Trust me.